Slip and fall cases are also referred to as premises liability claims. Property owners are required to make certain that their property is reasonably safe. Property owners may be responsible for injuries that occur as a result of a dangerous or hazardous condition on their property if they knew about the danger or should have known about it. If a property owner fails to correct a hazardous or dangerous condition on their property which causes a person to slip and fall and injure himself, the property owner may be held responsible for the victim’s injuries. Some hazards are obvious, such as a broken stair, while others are hidden, such as a hole that is partially covered by grass. In some instances, the dangerous condition may not be visible, such as flooring which looks normal but is very slippery. Hazards can be permanent or temporary. Broken concrete with a change in elevation is an example of a permanent hazard, while a liquid spill in a supermarket is a temporary condition. In general, an owner will be considered to have knowledge of a dangerous or hazardous condition if it is permanent in nature because the owner knew or should have known about the condition before the incident occurred. With temporary conditions, the length of time that the condition existed before the incident occurred is legally significant. If the spill occurred just before the accident, then the property owner may not be liable for injury because the owner could not have known about the spill and would have been unable to rectify it before the accident occurred. However, if the spill was present for a long period of time before the incident, occurred in an area prone to spills, or is a recurring event, then the owner may be liable, even if the owner did not know about the spill before it happened. 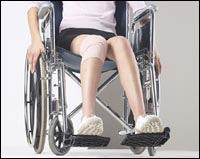 Immediately seek medical attention to insure that your injuries are not worse than you think. Injuries sustained from a slip and fall accident are not always apparent right away. In some cases, the full extent of a victim’s injuries may not be known for weeks or even months. Seeking immediate medical attention will also help show timing of the injury should you decide to pursue a slip and fall personal injury claim. Immediately inspect the area where you fell and try to determine what caused you to fall. Write down everything that you can recall about your accident, including the details of the fall, the names and addresses of everyone with whom you spoke, and the injuries you sustained. Record the names, addresses, and phone numbers of everyone in the area where the incident occurred, as you may need them as witnesses on your behalf if the property owner disputes your claim. Even if someone was there but did not see you fall, he or she might be able to describe your pain and the conditions of the floor or lighting immediately after you fell. Take photographs of the scene and of the hazardous condition that caused your fall, in case the property owner corrects it in an attempt to deny your claim. If the incident occurred in a business, you should speak with the manager. Have them make a record of the incident, and get a copy of all documents prepared by the business. Make a note of any comments which indicate that a fall has occurred before at the business.